Bishop Rock, Longships Watch, Sennen Cove, West Cornwall. 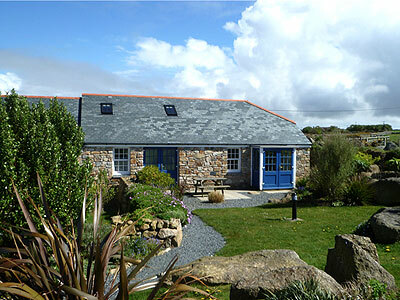 Bishop Rock is a beautiful three-bedroom self catering holiday cottage situated at Longships Watch, Sennen Cove, comfortably accommodating six guests. There is one ground floor double bedroom with opening patio doors and en-suite bathroom. Upstairs there are two twin bedrooms; one suitable for younger children and the second is of a standard size with opening velux window over-looking the gardens. There is an open plan lounge and dining area and a large fully equipped kitchen.